Last night, entrepeneur and actor Ashton Kutcher tweeted about the firing of Penn State University football coach Joe Paterno. He didn’t have the facts of his firing, which involves child molestation charges against another member of his staff, but defended Paterno anyway. That is a forgivable offense, we all make mistakes and say things that we wish we could take back after having all of the facts. However, when you have over 8 million followers like Kutcher does, it’s hard to do that. Kutcher decided to delete his original tweet, and that was his second mistake. He apologized profusely and honestly, but received responses calling him things like an “Idiot”, and other words that I’d rather not publish here. Regardless of what I feel personally about what he said, deleting a tweet only makes things worse. The internet never really forgets, and people took screenshots and shared the tweet on every publishing platform known to man. Today, he made his third, and perhaps final, Twitter mistake. In a tweet to a post on Posterous, Kutcher again apologized for his words, but reacted with a solution that actually shocked me, and some of my colleagues. Here are some of Kutcher’s words from the post, which you can read in its entirety here. Up until today I have posted virtually everyone of [sic] my tweets on my own, but clearly the platform has become to big to be managed by a single individual. When I started using twitter it was a communication platform that people could say what they are thinking in real time and and [sic] if their facts where wrong the community would quickly and helpfully reframe an opinion. It was a conversation, a community driven education tool, and opionion [sic] center that encouraged healthy debate. It seems that today that twitter has grown into a mass publishing platform, where ones tweets quickly become news that is broadcated [sic] around the world and misinformation becomes volitile [sic] fotter [sic] for critics. Twitter is still a place to share your thoughts, opinions, and ideas in real-time. We all make mistakes, but in what seems like damning words for the future of Twitter, Kutcher has seemed to have changed his mind about the platform that he has invested in. Everything that you can post on is technically a “publishing platform”. Facebook is a publishing platform, as is YouTube. But what Mr. Kutcher needs to realize is the internet has trolls and angry people on it, because the internet is made up of people from all over the world. When you have 8 million followers, you’re bound to irritate someone with almost every click of a post. With his new-found feelings about Twitter after last night’s incident, Ashton Kutcher has found a solution, let a management team handle his account. A collection of over 8 million followers is not to be taken for granted. I feel responsible for delivering an informed opinion and not spreading gossip or rumors through my twitter feed. While I feel that running this feed myself gives me a closer relationship to my friends and fans I’ve come to realize that it has grown into more that a fun tool to communicate with people. While I will continue to express myself through @Aplusk I’m going to turn the management of the feed over to my team at Katalyst Media to ensure the quality of it’s content [sic]. My sincere apologies to anyone who I offended. It was a mistake that I don’t think will not happen again. While the actor is indeed a brand in and of himself, this decision is one that could turn the use of and opinions about Twitter on its ear. 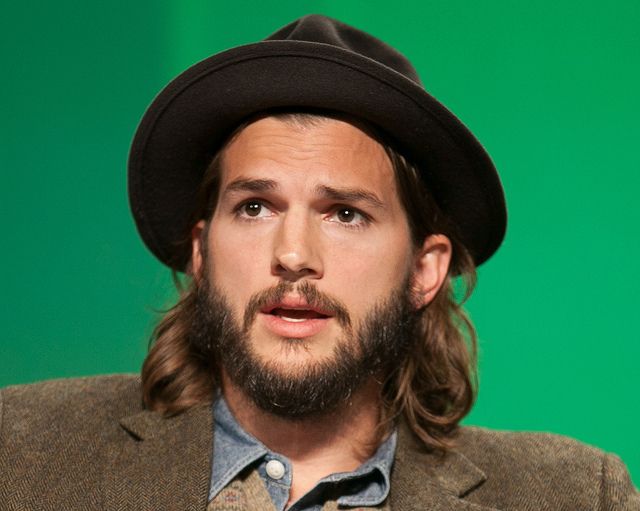 It sounds like using Twitter has become simply “too much” for Kutcher to manage. This decision seems strange to me, because it’s primarily an outbound publication system, with you controlling what and if you communicate reciprocally on. It’s not as if strangers can publish to his account, or change his words around. It’s almost as if saying that using words to speak out loud is too much to manage, so someone else will speak for you instead. Ashton Kutcher has done amazing things for social media and social good, backing such movements as #EndMalaria and his own organization against the illegal trafficking of children for sexual purposes. After reading many of the angry responses last night, most people were just venting about this one event, and not his entire usage of Twitter as a service or platform. Perhaps saying “Hey, I messed up let’s move on” would have been a better “strategy”. What do I know, I don’t have the responsibility of having over 8 million Twitter followers. Twitter is still a place for communication for a lot of people, and not seen as simply a publishing platform. What are your thoughts on Kutcher’s decision? Share them in the comments.